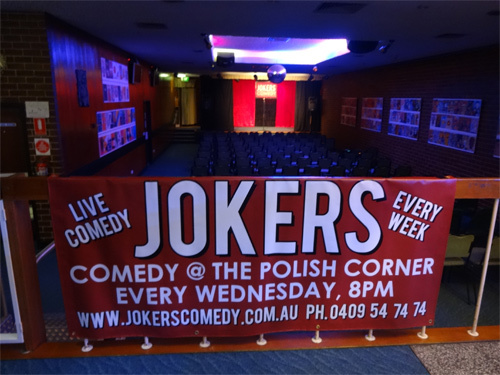 Jokers Comedy Club is a great place for your work or Christmas function. Group bookings are available for our regular Wednesday night shows or we can organise a stand-alone comedy night for your guests or workmates. The Polish Corner has a full commercial kitchen and we can organise customised catering for your event. Do you just want one of our talented and professional comedians for your corporate or private event? We can help you with that too.